Enjoyable as it is to start planning your fall wardrobe now, summer isn’t over just yet. And the last thing anyone wants is to look back mid-winter and realize they didn’t squeeze out every last drop of summer that they could. With the goal of making the most of what’s left of August in mind, here is a selection of ways to toast to the end of the season that won’t conflict with your browsing the latest power suits and stylish new plaids already in stores. If moderation is the key to good health, then Palm Lane is the place to strike that sweet spot. In addition to customizable gourmet salads, the casual-chic eatery is now serving wine and beer. Among the selections? 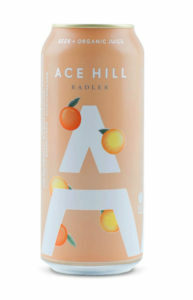 Toronto’s own Ace Hill beverages, including the refreshing Radler, which combines the brand’s crisp European-style pilsner with organic citrus juice. Ace Hill Radler, available at Palm Lane. Although much like wearing white, the rules are meant to be broken when it comes to drinking rosé, there is something about the warm summer weather that makes a crisp glass of pink wine all the more apropos. Medium bodied and dry, this bottle from nearby Niagara-on-the-Lake features a blend of gamay, pinot noir and syrah to offer a fruity-floral flavour with aromas of watermelon, strawberry, cranberry, peach and pink grapefruit. Trius Rosé 2017, available at The Wine Shop. A pitcher of sangria or punch is the perfect addition to your end-of-summer parties and family-style feasts. With a painterly pattern that evokes a European coastal getaway, this ceramic serving piece will bring a stunning, globetrotting touch to any table setting. 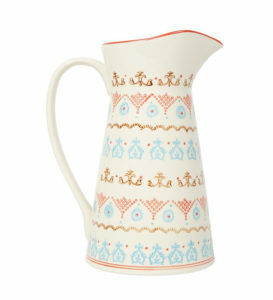 Ceramic pitcher, available at Bois et Cuir. 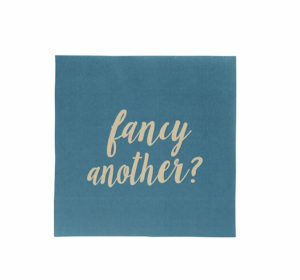 If you’re someone who loves hosting family and friends, then you know it’s a good idea to keep a set of playful napkins on hand. Eye-catching, convenient and easy to pass around, they’re a patio-soirée must-have for cleaning spills quickly and in style. Harman cocktail napkins, available at Teatro Verde. Love fixing cocktails in the comfort of your own home? This tonic water makes mixology a breeze by combining the subtle bitterness of South American angostura bark with hints of cardamom, pimento berry and ginger. Simply stir it together with your favourite gin, or enjoy as a refreshing booze-free beverage on its own. 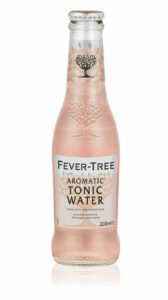 Fever-Tree Aromatic Tonic Water, available at Whole Foods. With distillers now popping up in all corners of the globe and small-batch producers experimenting with non-traditional grains such as sorghum and quinoa, whiskey is certainly having a moment. 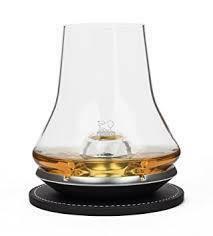 Whether you’re new to the spirit or an aficionado of all things whiskey, this tasting set, which includes one whiskey glass, a coaster and a chilling base, will take you from alfresco after-work drinks and through the colder months. Peugeot Whiskey Tasting Set, available at Valency.